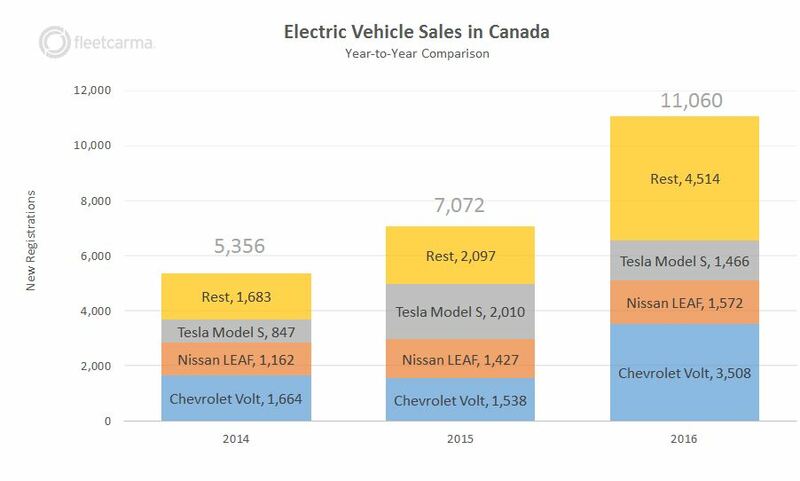 Canadian electric vehicle sales were strong in 2016, posting a record-setting total of 11,000 vehicles sold last year. That’s up 56% from the 2015 total of just over 7,000. The total number of EVs in Canada is just shy of 30,000 mark. 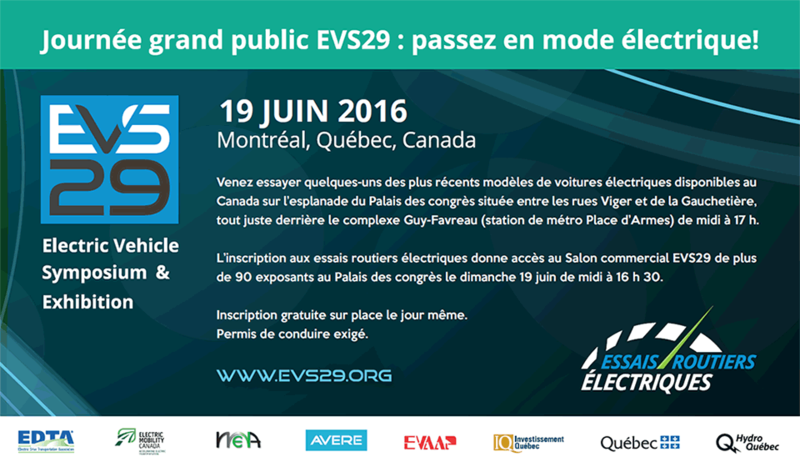 Quebec continues to be the provincial powerhouse, accounting for nearly half of the EVs in Canada. Quebec was at roughly 13,500 plug-ins by year-end. Within Quebec, EV sales were up 55% over the previous year. Ontario showed a strong performance in 2016 as well. Ontario had the highest year-over-year growth with a 67% increase in annual sales. BC sales were up 38% year-over-year, ending the year with a record setting December with 329 sales in the final month of the year. Actually, in the month of December, BC sales beat Quebec and was only two sales shy of Ontario. EV sales remain a tale of 3 provinces with 95% of sales in 2016 being in British Columbia, Ontario, or Quebec. In terms of percentage of motor vehicle sales, Quebec and British Columbia hit major milestones in the fall, both having EV sales surpass 1% of all motor vehicle sales including all trucks, SUVs, buses, and vans. Ontario ended the year with EV sales representing roughly half of one percent of motor vehicle sales.